Red is a color that is always on trend. 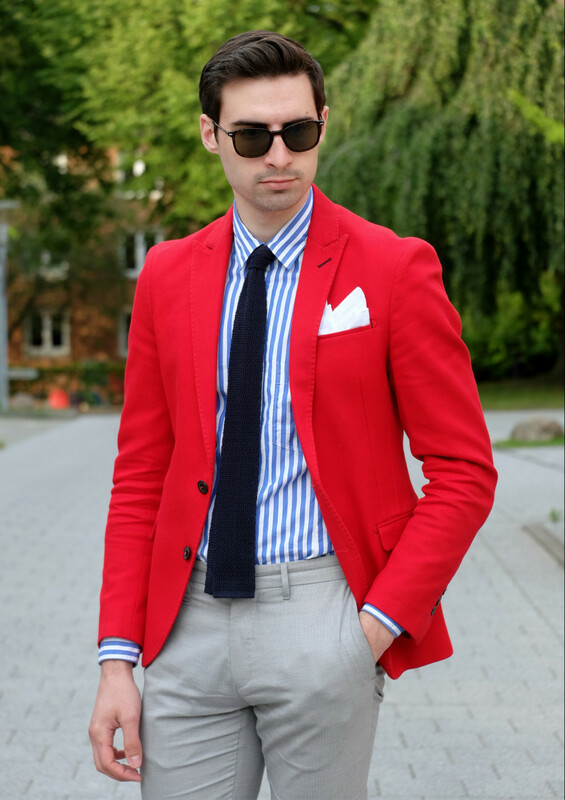 It's often used in small amounts to add a pop to your outfit but this year there has been a rise in red tailoring. 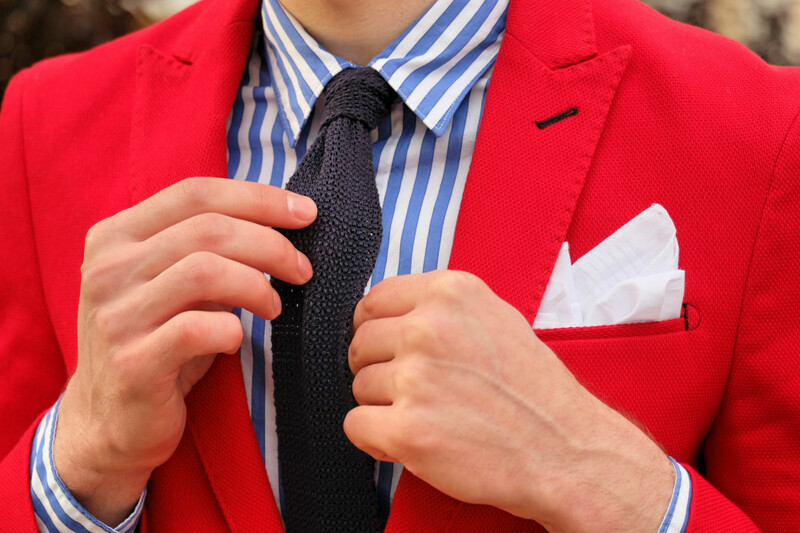 Full red suits were seen many times during Pitti Uomo and red blazers are now becoming a go to piece for dapper men this summer. The shades will very from vibrant red to a toned down cherry or even a pastel pink but the attention grabbing effect stays the same. The safest way to wear one is with a navy trouser and white shirt. The look is summer sophisticated and looks great during the day or night. 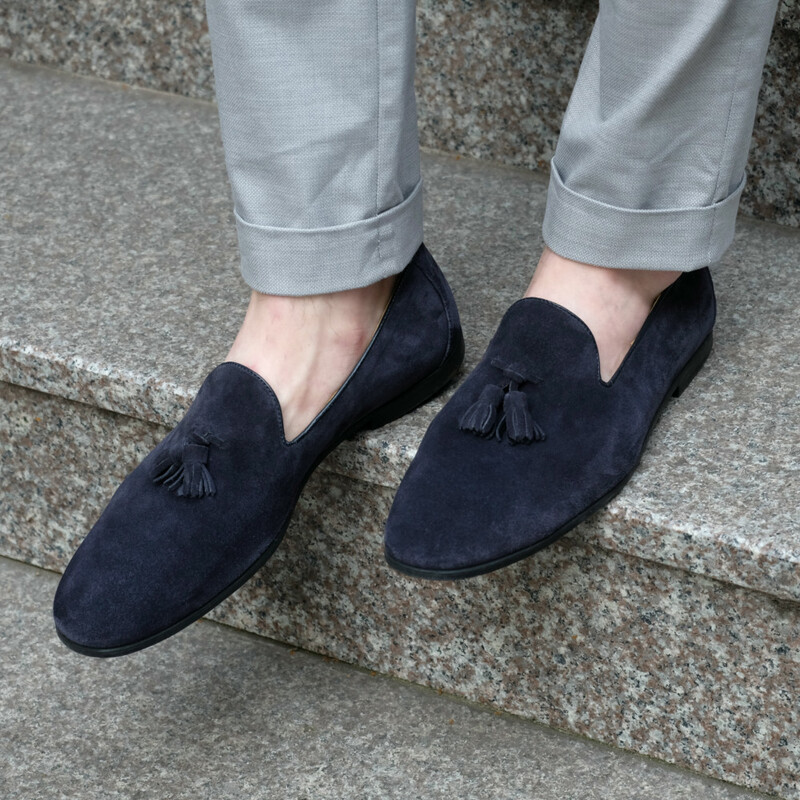 If you're going for a more laid back resort vibe then wear white jeans, a white or navy linen shirt and a pair of suede tassel loafers. 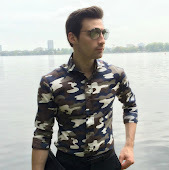 You could even add a panama hat or a light silk scarf for extra style points. 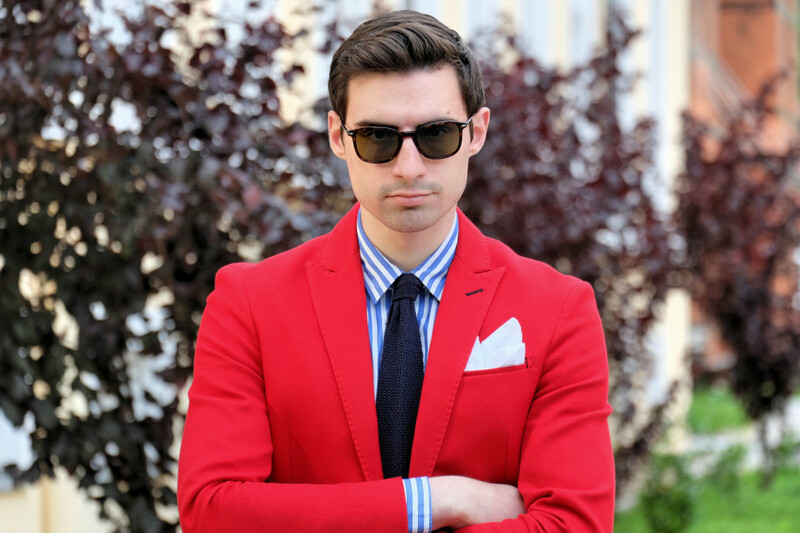 Red can often be so overpowering so try to stay away from mixing it with other bold colors. 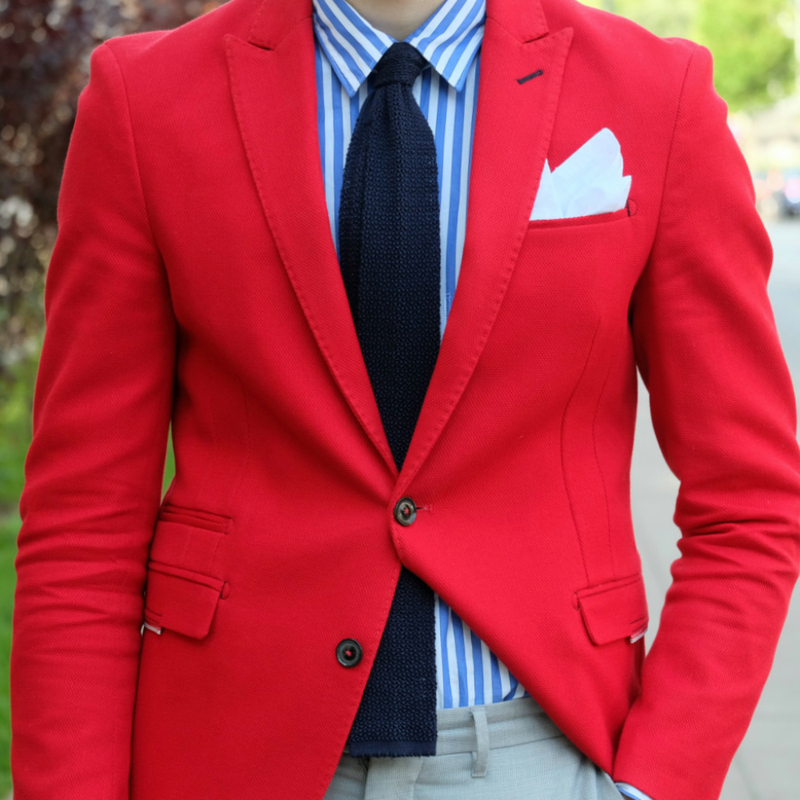 Would you rock a blazer such as this? That blazer looks amazing on you!! I love this look!! 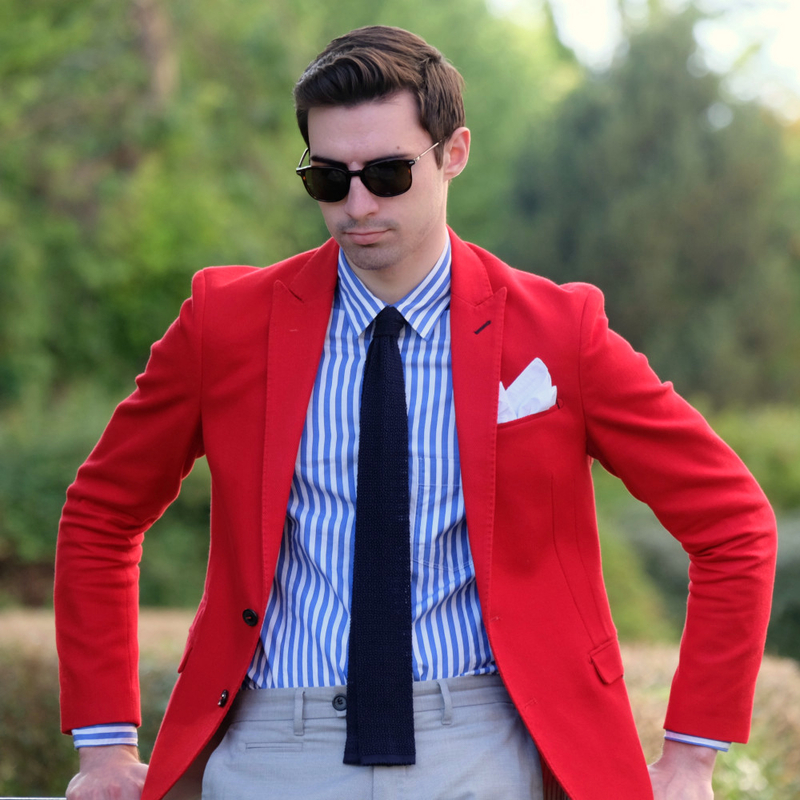 I love that red blazer and I want one for me.